Nothing is a gift to be treasured. It is guaranteed to do absolutely nothing, all of the time! 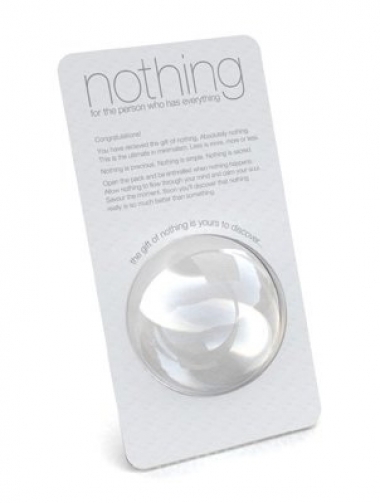 Get a Gift of Nothing, a present perfect for any occasion. Whether you are looking for that special nothing for Christmas, Birthday or Valentine's Day (not recommended if you want to continue with the relationship), Nothing is the ideal gift.